Mark says, “it looks like a picture some person took when they pulled over to the side of the road.” Yep! That’s it. Old Washington Ohio again. Sometimes you just aren’t sure why you photograph something but you don’t want to regret that you didn’t later, so you shoot, look at the pictures later. You respond to something you see. Shoot it. And wonder. What was someone thinking? How did this come to be here? I know there is a backstory. 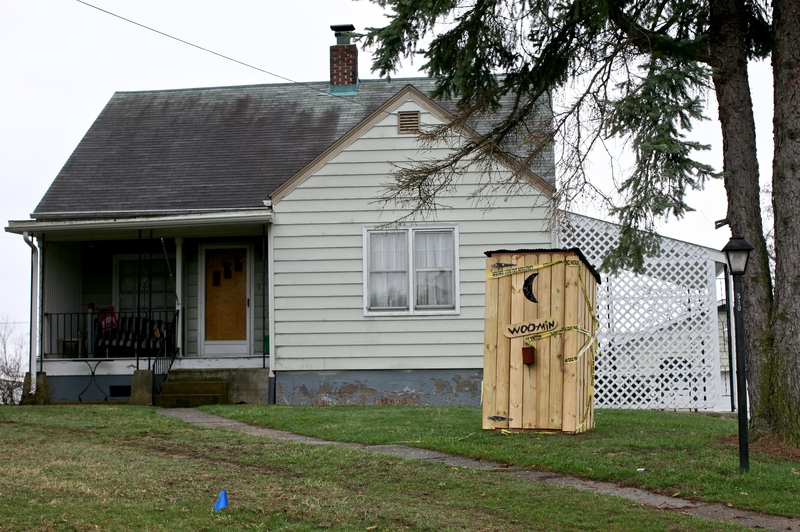 Aren’t outhouses usually in the back of the house? Clearly whomever placed it here wanted people to see it. And so you are….. Anyone with a guess what the story is on this one? Incongruent architecture styles side by side. 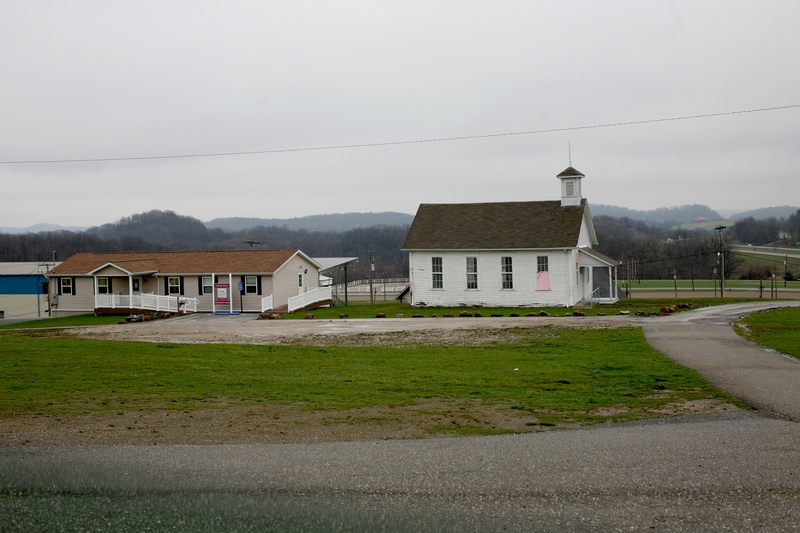 Old schoolhouse or church next to a new double-wide. 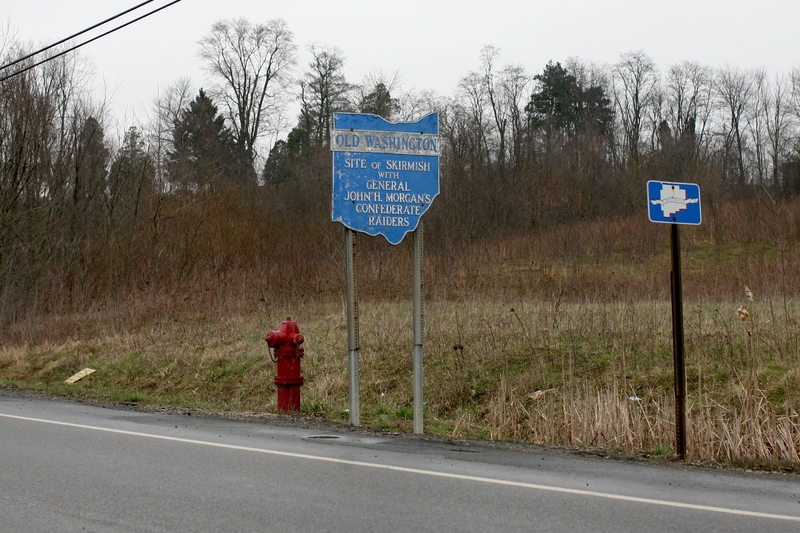 Old Washington Ohio along Route 70. The Historical Marker at the side of the road said it was the site of a skirmish with General John H Morgan’s Confederate Raiders. How many signs have the word “skirmish” in them? I read there are three confederates buried in the cemetery. Population (last census) of Old Washington 265. Why the fire hydrant right next to the historical marker? Scroll down for second image. Why right next to the scenic structure? Door closing behind man who had just entered. Drove back to Pittsburgh this evening for Monday AM obligation. Details after the fact. Steve and I went to the Elbow Room around 8. He asked me if I wanted him to drive me to reshoot the Steel Mill at night before the trees are at full leaf. And on the way back home we got the red light at Woodstock and Braddock Avenue . 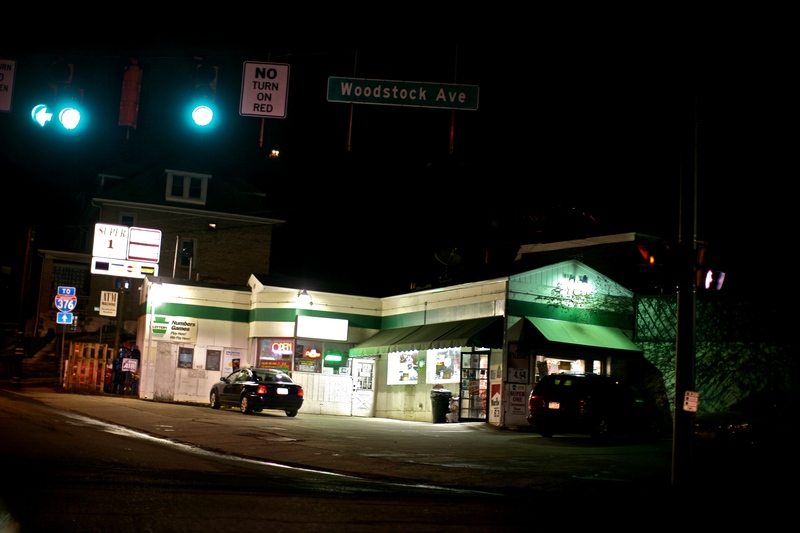 Caught the Super 1 Convenient Store all lit up. No wet pavement tonight to reflect the lights. Beco (long e) was one today. A first birthday party was held at the Columbus Zoo. We got there late in the afternoon. 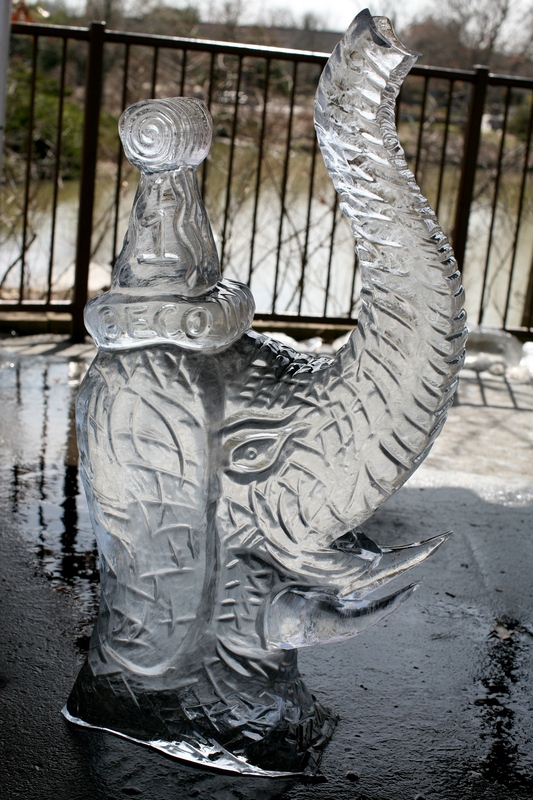 Saw the carved ice sculpture but not the creation of it. A piece of the trunk had broken off. He’s an Asian elephant. His name and a number 1 still visible! When we got there no one paid much attention to the ice sculpture. The line into the Elephant House was loooong! Thursday night. Just finished shooting a poet for her chapbook photo at Frick Fine Arts. Started to rain. Stabilize camera on a sycamore tree. Experiment with wet pavement/light reflections. Cable remote so no camera shake. 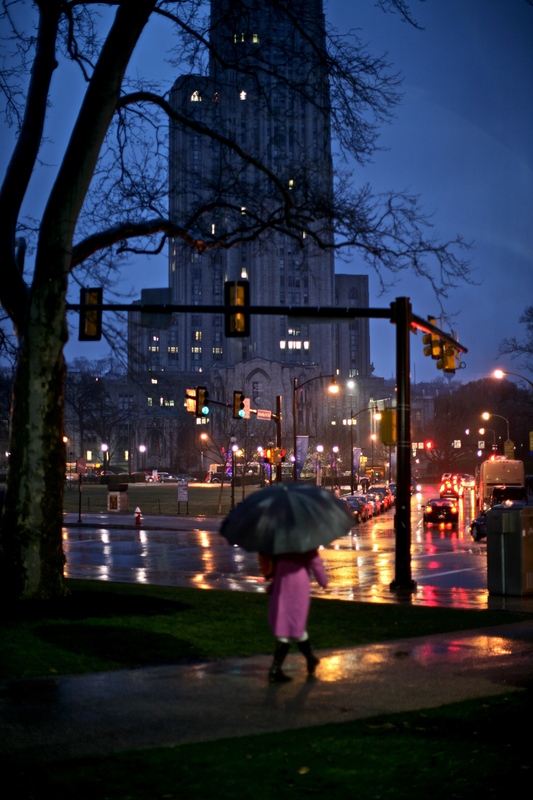 Cathedral of Learning behind. Enter stage left- Woman in a raspberry sherbet coat, a huge black umbrella strolls into line of vision. As if casting sent her, she entered the scene on cue. Pittsburgh’s halls and lodges and posts. Just last week I was at the American Legion in Sheraden. This architecture is listed as Old Style. 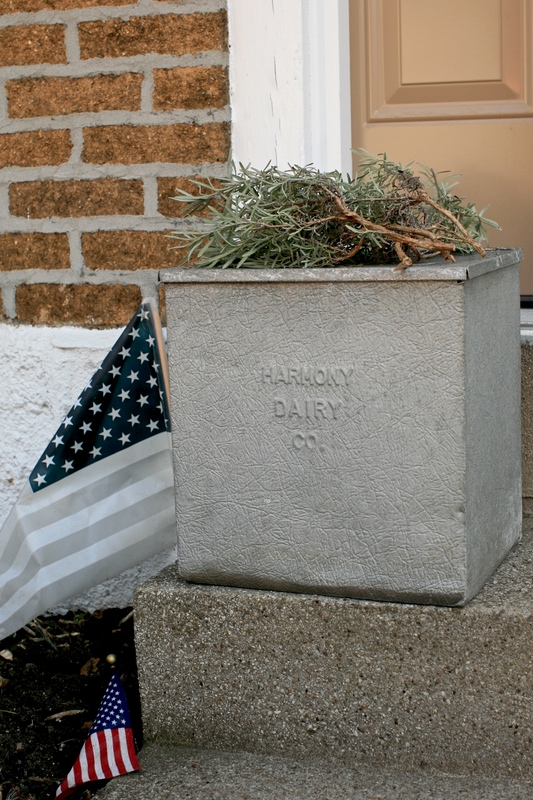 Arlington Avenue. I’ve never seen a pigeon race. 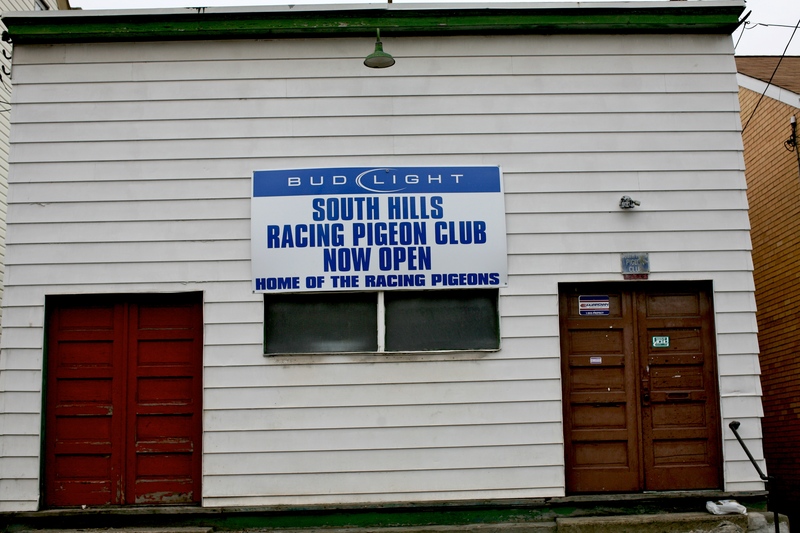 Says the average race is 300 miles at the website American Racing Pigeon Union calling pigeons “the thoroughbreds of the sky”. City pigeons don’t seem particularly hygienic but I am sure the Racing Pigeons are tidy and groomed. Thinking about who belongs to this club, who races pigeons these days? Found an Australian site with pigeonpoetry– poems attached to 8 racing pigeons, a 60K, and bets on winner as a fundraiser, each bird with a flashy name-Old Man Time, Baron,Sydney PEN Shadow… who knew? I've never seen anyone enter or exit this club when I drive by after school. Looks like they have a sponsor. I've wanted to photograph this sign for awhile. A quick shot from the driver's side. 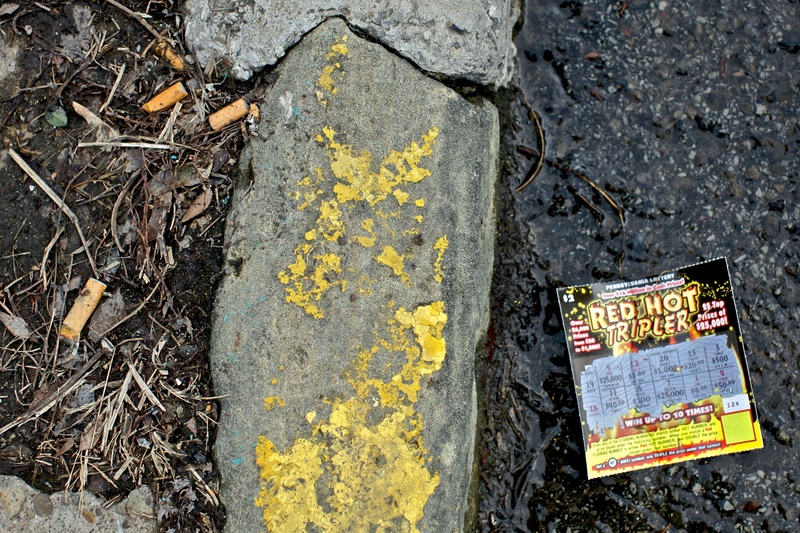 The curb used to be yellow, the losing ticket catches your eye. You lean over the curb,focus, see equal thirds in the composition. Shoot. Texture, line, shape, color, space, form. Art elements are everywhere in the world. It looks like someone placed it there for me to find, the curb paint scratched off, too. Stop on the way to school Pick up contractor bags to Spring clean the art room. They’re 3 ml thick. Return to the car and remember in 6th grade 1963 our teacher, Mrs. Winona Stewart, had us read Salutation to the Dawn from Sanskrit.. “Look to this day for it is iife..” I wonder if it was part of the curriculum. 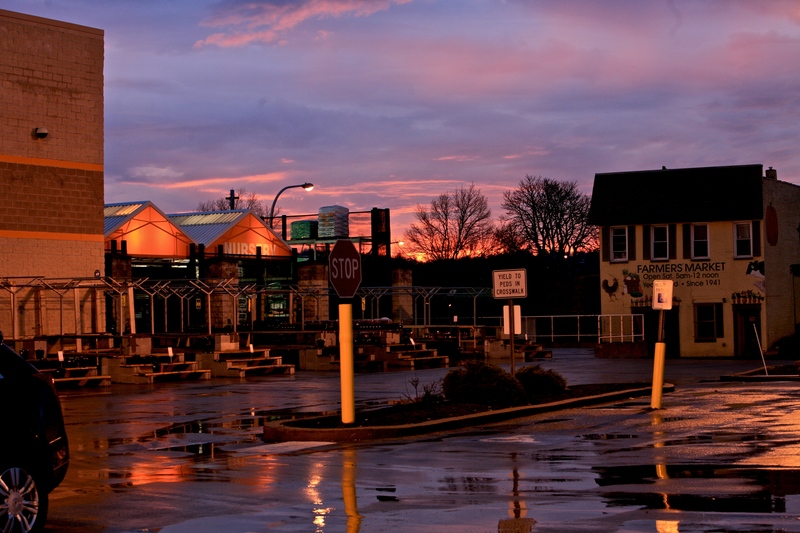 Colors match the Home Depot and look fake. Rain left wet parking lot to catch the reflection. 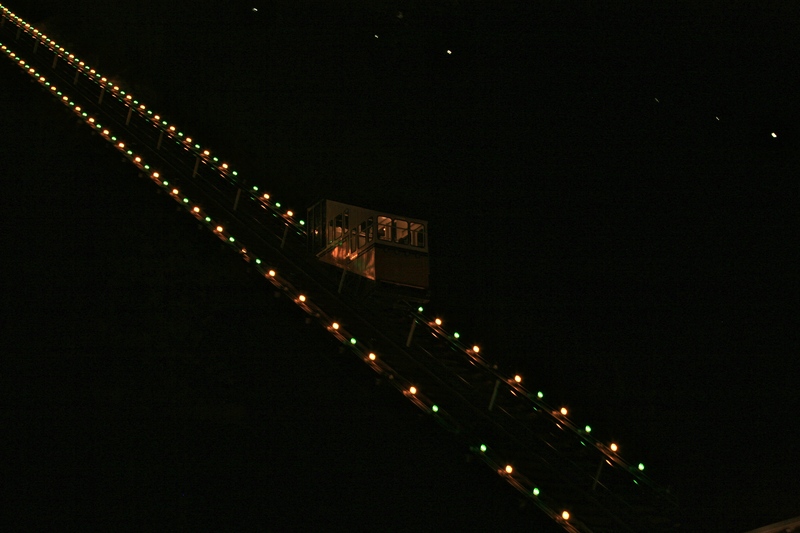 This is the Monongahela Incline by Station Square, just across Smithfield Bridge. Travels at 6 mph so hard to get it focused with the shutter open to allow enough light. Sunday night on the way home from Manchester Craftsmen's Guild Event.